It’s Monday. The worst day of the week (unless if you like your job, in which case, you’re crazy 🙂 ). We wanted to spread some more cheer and help brighten your Monday, so we kicked off this Monday Round-Up last week. There are so many millennials out there crushing it, and we wanted to bring you the best podcast and posts we stumbled upon. This week, Steph gets to take over and grace you guys with some incredible episodes and posts to check out. Ready to have a better Monday? 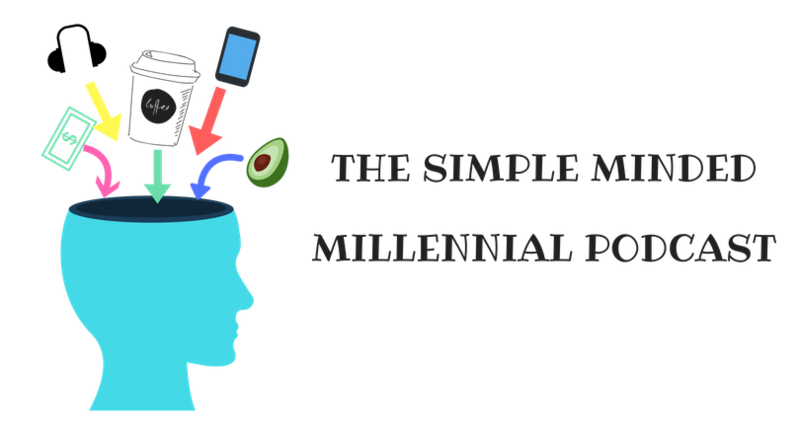 Read through these posts, check out these podcasts, and follow these incredible millennials! Everything Luxe posts is GOLD, but this one is extra special. It feels like a how-to guide on just not living, but THRIVING on a lower salary in a city with a crazy cost of living. She is incredibly transparent and open about her money during her beginning in NYC. She also had a crazy impressive saving rate, even for a lower salary in a city like NYC. Friends is one of the greatest shows ever. I used to definitely be more like a Rachel Green (realllly dumb with money), but I’m working on it. C&CG started a series about money lessons she learned from Friends, and this one inspired by Joey is incredible. Her series is so refreshing, and anytime you can mix money and pop culture, I’m there! I also hate sharing food and am way too trusting of strangers. We have a lot we can learn from Joey. We’re all about breaking millennial stereotypes here, and Shawn and I basically have committed treason to the millennial party. We hate avocados. Shawn and I also make basically the same salary, so we’re best friends (he has actually declined to be my best friend, but I’m working on it). Shawn opens up in this post and lets us see his financial life in full detail. He has a really unique job and has fought for raises. His salary growth is incredible! We could all learn from him. I had the pleasure of meeting Purple and her infamous partner in Seattle. They’re both as annoyingly frugal as you’d imagine. 🙂 They are both so in sync now, it’s wild to believe Purple was ever a “loose” spender. Finding the motivation to embark on such a long goal, like retiring early, is hard. It’s awesome to read about how Purple and her partner keep each other on track. I also love hearing people’s money stories and what inspires them to clean up their finances. Natalie Bacon is the QUEEN of mindset, personal development, blogging, and basically everything. So excited to finally see her in the podcast space! Her new podcast is killing it, and it was so hard to pick just one episode to feature here. Natalie discusses how to adopt an abundance mindset, and how crucial it is for success and money. She also explains the importance of shifting thinking from a time economy to a value economy. This episode is jam-packed with tips on improving mindset. Hope you love these posts and podcasts by fellow millennials! What were your favorite articles from last week? Thanks for including me here with these other great bloggers! Definitely going to have to check them out! You have officially made it, Shawn! Ha! Your story is so unique and incredible, excited to see you take off. You’re going to inspire sooo many people! Oh-em-gee, I get top billing, what???? I also found a new blog in this roundup that I’d never heard of before. Thanks again for including me! And your whole blog is top-billing material!